Subscribe to your favorite podcast with Dr. Gary Chapman today. Building Relationships is a weekly 54-minute radio program offering life-changing insight and realistic advice rooted in the Word of God. Hosted by bestselling author Dr. Gary Chapman along with Chris and Andrea Fabry. If you want greater passion in your marriage, don’t miss this episode of Building Relationships with Dr. Gary Chapman. Gary welcomes authors and speakers Bob and Cheryl Moeller who reveal the six hearts of sexual intimacy. Couples who uncover the counterfeit hearts are able to find a deeper intimate connection with each other. Can you restore passion to your marriage? Find out on this podcast. 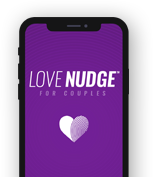 A Love Language Minute is a daily one-minute radio program. In a world where life is so busy that most people forget to care for their closest relationships, Gary Chapman is there to help individuals refocus and recalibrate.